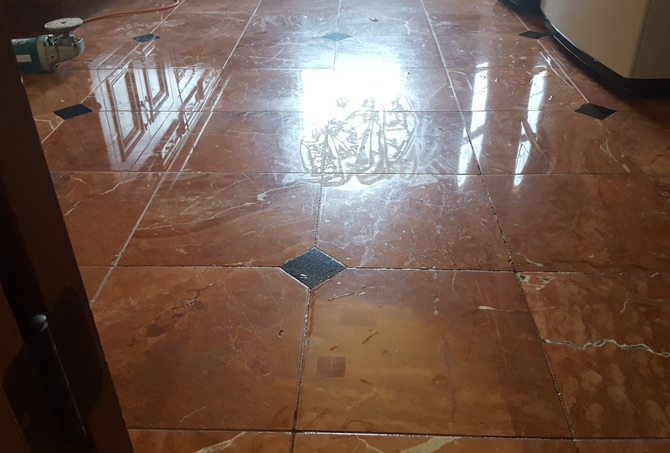 This is what the floor looked like when we arrived, before doing any granite and marble restoration work. At this angle, with the light from the window reflecting on the finish, you can see evidence of the futile attempts to remove the etch. This image was taken after we removed the etch. Here is another image of the same area, showing the beautiful finish. 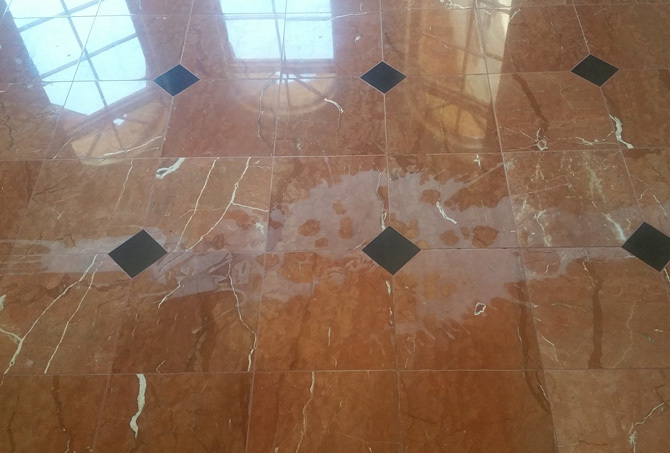 The etch damage in the middle of this granite and marble floor is evident. Here is a closer image of the etch damage. We removed the etching and refinished the floor. As you can see, there is no more etch damage. Homeowners hired a cleaning company in preparation for putting their house on the market. 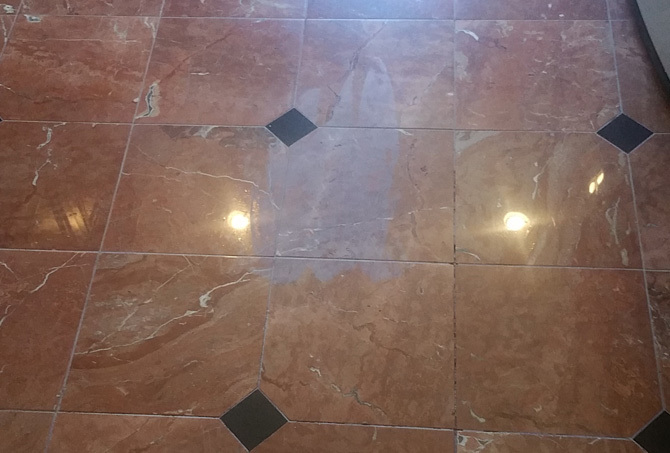 Unfortunately, one of the cleaning company employees used an acidic cleaner on the granite inlaid marble floor, causing etch damage, and to make matters worse, then tried to fix the etch, causing further damage. The realtor called us to properly remove the etch and refinish the floor. 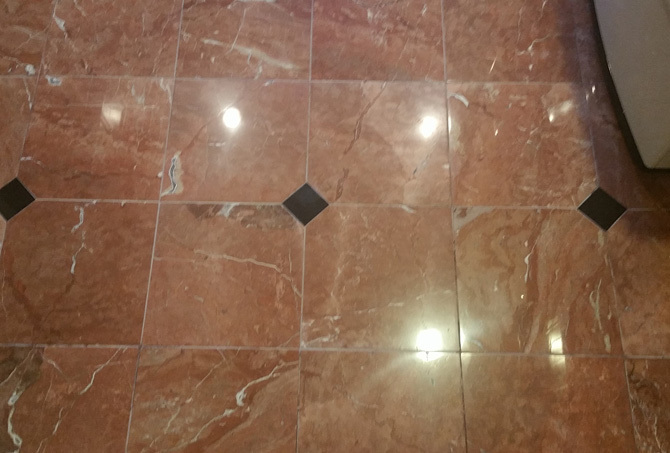 We removed the etching on this granite inlaid marble floor by honing, that is, a wet sanding process that removes a very thin upper layer of the stone, revealing the new, undamaged stone underneath. Then, we polished the floor to restore the reflective finish. The homeowners were thrilled that there was no sign of etch damage when we were done. 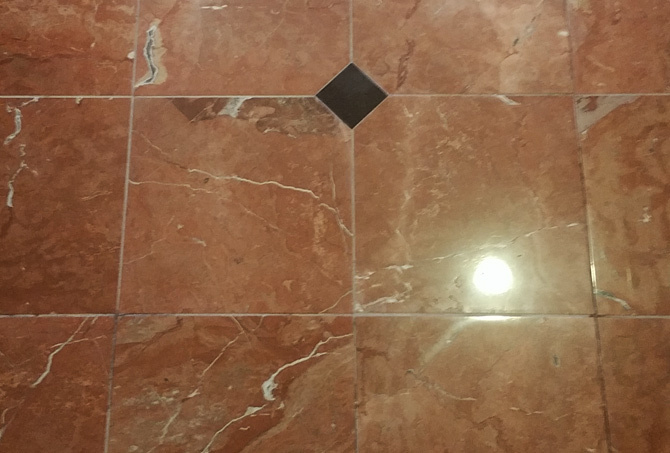 Their marble floor looked like new again, which would inevitably help with impressing potential buyers. To learn more, visit our Marble Services and our Granite Services pages. 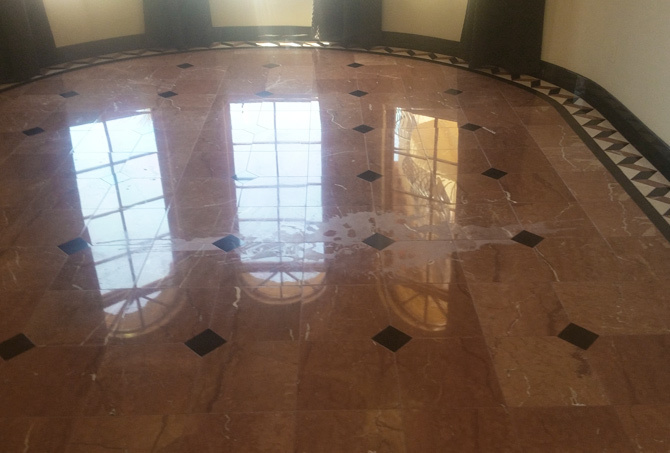 You may also be interested in viewing our Marble Restoration video. 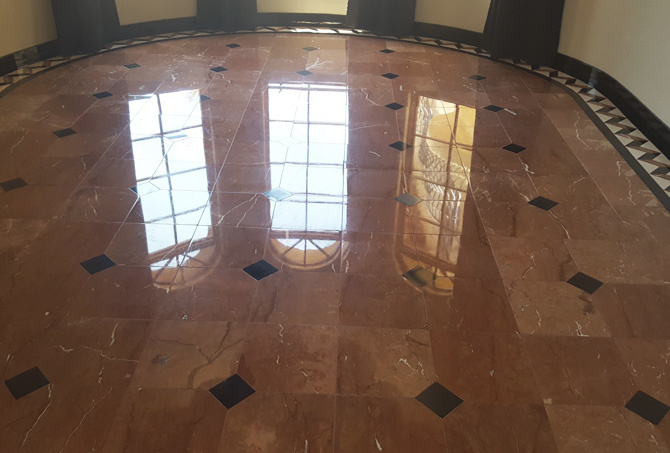 For a FREE estimate marble and granite floor polishing, marble and granite repair, or any other marble and granite restoration services throughout the Phoenix, Scottsdale, and Tempe area, use our contact form or call (602) 993-9800 today.